Submit Your Migraine Poetry Now! Deadline Extended. Writing can be a great outlet for us. It can be very cathartic. It’s a great way to share how we feel in a creative way. It’s a way of sharing with others in the online Migraine and headache community. The poetry can help raise awareness by expressing Migraine and headache in a different way. Raising awareness can help reduce the stigma of Migraine and other headache disorders. All poems must be about Migraines or headaches. Poems must be no more than 60 lines, and each line can be no more than 80 characters, including punctuation and spaces. All poems entered that meet the rules will be published on www.HelpForHeadaches.com. Some of thee top ranked poems will be published in the National Headache Foundation’s magazine, HeadWise. The winning poem will be published in Pain Medicine News. 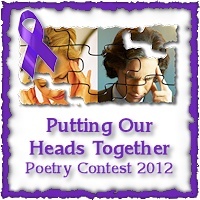 The National Headache Foundation will give the winning poet a gift of $250 U.S. The deadline for entering the contest has been extended to midnight, Sunday, May 13, 2012. So, you have just over a week left to submit your poem. I hope you’ll give it a try. You don’t have to be an experienced poet. Ready to enter? Want more information? Go to the complete contest rules. There’s a link to the entry form there. I find that through the years as migraines pound away at people, the idea of complete conquering of chronic migraine becomes ever more intense, until there is no room for them at all…yet the migraines still appear unwanted guests at any hour. There is a sense that hope must remain intense to survive and thrive no matter what! 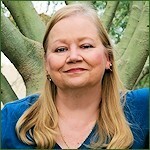 I’m with Ellen, Great job Teri! I also enjoy reading the entries and finding that connection. Thanks, Suzanne! Going to give it a try this year? AWESOME! I can’t wait to see what people have entered! Am definitely sharing so others won’t miss this chance <3.